Ever wondered how The Blue Note got its name? It was in a terrible way, if Richard King tells the story. “Phil and I were sitting up at a bar called the Cork and Dart tossing around names. Phil wanted to call it Paradise, or, you know, one of those kinds of names.” Richard shakes his head. Oh, Phil. The partners wanted to make the name was at least a little music oriented but weren’t having much luck. “Then it struck me. Where I grew up in Scranton, Penn., my high school was located downtown. There was a lot of downtown bars and restaurants. 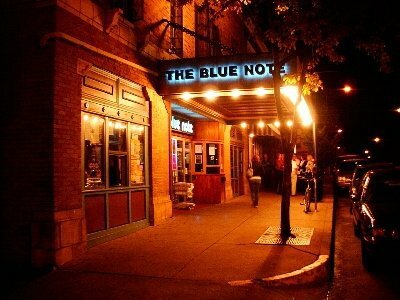 I used to walk by this one place every day called The Blue Note. You looked in, and it was probably half the size of Booches. It was full of old guys sitting there getting drunk for 20 cent beers. “And it was just pathetic. They went around and around on the name, considering different options, but decided to stick to The Blue Note. Not because of the musical connection, but more because of those pathetic old guys, drinking beer and shooting the breeze.